Welcome to Goderich Dental Centre. At Goderich Dental Centre your comfort and oral health is our top priority. We promote relaxation and offer professional services to help our patients achieve a healthy happy smile. We have been serving Goderich, Clinton, Bayfield, Lucknow, Blyth, and the surrounding area for many years and we look forward to being a part of the oral care program for you and your family. Call our office for an appointment or stop by for a visit. We will be happy to give you a tour and answer any questions you may have. 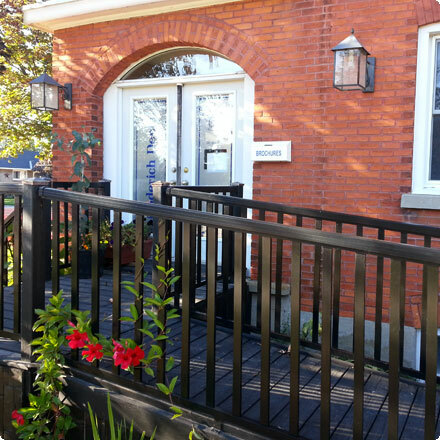 We are conveniently located at 169 Bayfield Rd., just south of the downtown core and within walking distance from elementary and high schools. We provide ample parking. Click here for directions.